In September last year, the President attended the United Nations Summit, at which world leaders endorsed the Sustainable Development Agenda 2030 with 17 goals and 169 targets. The leaders agreed to implement it at national level starting from 1 January 2016. Sustainable development incorporates three dimensions of development: economic development, social inclusion, and environmental sustainability. All three are required to ensure both present and future generations benefit equally from development. Countries including Sri Lanka are expected to choose appropriate targets taking into account their specific social-economic conditions and embark upon implementation of the agenda and achieve these goals by 2030. In this regard, Sri Lanka is expected to prepare a holistic policy framework on the implementation of the Sustainable Development Agenda 2030. This exercise requires evidence-based policy research to identify economic, social and environmental priorities of the county, extensive consultation with relevant government agencies, civil society and the business sector and coordination with relevant international organisations including UN agencies. Based on this process, Sri Lanka will have to prepare a detailed implementation strategy/plan that will be incorporated in the medium to long-term development plans of the country within the next 15 years. The United Nations launched the Millennium Development Goals (MDGs) in 2000 that were expected to be achieved by the end of 2015. Substantial progress has been made in achieving the MDGs. Many countries have accomplished the first MDG of halving the extreme poverty rate by 2015. However, the achievements have been uneven. Some countries performed better while others, in particular, LDCs remain off track in most goals. Sri Lanka has been an “on track” country with regard to realising MDGs and met some targets ahead of the schedule that is related to poverty, education, and some health areas. It performed better than other South Asian countries. Sri Lanka has achieved targets for 13 of 27 indicators for which data was available although the performance was lagging behind in some including nutrition intake and gender equality. One major area of concern is regional disparity and gaps in achievements of targets, in particular, reduction in poverty. 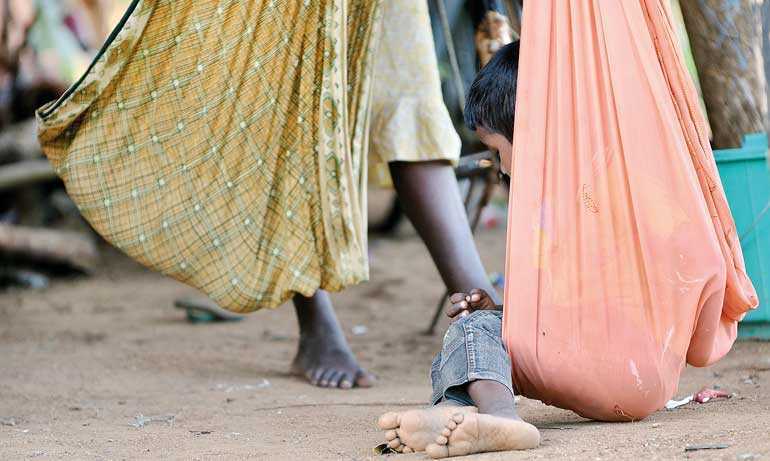 It was found that while the national incidence of poverty has fallen down to 7% during the last 15 years, some districts such as Moneragala and Mullaitivu witnessed increased poverty of around 20%. Comprehensive coverage: SDSs cover more areas of development than MDGs which includes goals related to economic growth, additional areas related to environmental sustainability and social inclusion including human rights and peace. The biggest change relates to the incorporation of the economic pillar, in particular, promotion of inclusive growth and decent employment. Inclusive process in the development and implementation of SDGs: The MDGs were developed using a “top down” approach while SDGs were developed through an extensive consultation with all stakeholders, governments, civil society, research organisations and international and regional organisations. The same inclusive process is expected to be followed when preparing national SDG agendas. Flexibility in terms of choosing targets and time frameworks depending on the economic and social conditions in a particular country. A greater emphasis on certain critical development issues such as separation of hunger from poverty and quality of education. Monitoring and evaluation: A new feature of SDGs is the addition of monitoring, evaluation and accountability in the process of implementation. The Sri Lankan MDG Report 2014 identified the quality of education, good governance, poverty and social vulnerability, decent employment, non-communicable diseases, climate change and gender equality in employment as major areas of concern where improvements are needed to take the MDG process forward and achieve sustainable development. Sustained, inclusive and sustainable economic growth: First, while Sri Lanka has been able to maintain over 6% growth rate over the last 10 years, there is an urgent need to ensure such growth rates continue on a sustained basis over the next 15 years to generate much-needed resources for reduction in poverty, education, health, employment generation. Second, it has been observed in Sri Lanka and elsewhere that high growth alone is not sufficient for all to be able to participate in the development process and benefit equally from economic growth, namely “inclusive growth”. The nature and patterns of growth are more important than “rates” to ensure the gains from development are distributed equitably. Third, there is a need to maintain an appropriate balance between growth and environmental protection. High-quality formal education and vocational training: Many countries including some advanced developing countries have been able to use education as a powerful instrument of development and poverty reduction. But many other countries including Sri Lanka are still struggling to benefit from human resources that they possess to their advantage effectively. Though Sri Lanka has recorded a high literacy rate (92%) and a primary enrolment rate (97%), lack of adequate attention to education as a tool of development is manifested in less than satisfactory basic statistics. According to UNICEF, 18 percent of students drop out from formal education before completing the ordinary level examination (GCE O/Level). The rate of dropouts is more than 50 per cent in some disadvantaged areas, including estates, rural areas, and urban slums. Given the unavailability of adequate and appropriate facilities for these dropouts to engage in technical training, these youth end up unemployed leading to frequent social tensions. It is also evidently clear that there is a shortage of people with technical skills to meet the demand from the business sector. Equal access to health: Though Sri Lanka is performing better than the other South Asian countries in terms of health indicators, there are huge gaps in access to health in some rural and urban areas and estate sector that requires a special attention when implementing SDGs. Productive employment and decent work for all: As per the economic policy statement of the Prime Minister in November, 2015, 10 million employment opportunities expected to be generated, In order to achieve this goal, the government has to prepare a comprehensive plan with time targets focusing on the identification of sectors where such jobs can be created, the skill development, job-oriented economic opportunities, partnerships with the private sector and the financial resources. Development of SMEs: Though SMEs constitute over 80% of business enterprises and contribute 50% and 35% of GDP and employment respectively, Sri Lanka has not been able to capture its full potential due to various constraints including lack of access to finance, shortage of capital, lack of skills and capacities, and lack of information and networking. These constraints have prevented SMEs from benefit from various internal and external business opportunities including global value chains. Inclusive trade and investment: Trade and investments are engines of growth and many countries, particularly, East and South East countries benefited from that engine. But many other countries including Sri Lanka have been struggling to use this engine properly due to policy and various other barriers including lack of supply side capacity development and non-tariff barriers that are found at 3 different points in the supply chain: behind the border, at the border, and beyond the border. In addition to the rationalisation of import tariff structure, the government has to pay a special attention on these barriers in order to fully benefit from trade. As regards, foreign direct investment, Sri Lanka has to create investment enabling policy environment and investment facilitation to attract more FDI. However, though more exports and FDI are necessary to generate much-needed resources for development, in order to make trade inclusive, all people should be given an equal opportunity to participate in trading activities and benefit from them. In other words, trade investment must be pro-poor to distribute gains from trade equitably. Environmental sustainability: Climate change and other environmental problems have a serious impact on people, economy, and natural resources. Therefore, it is important for countries to develop their economies while eliminating or minimising damage to the environment. It is abundantly clear that “develop first and clean up later” model used by developed countries and some advanced developing countries at the initial stage of their development, cannot be continued anymore because such an approach is likely to be costly to those countries. Therefore, it is critically important for Sri Lanka to find an appropriate balance between economic growth and environmental sustainability. Green business: Any business activity relating to manufacturing or trading of goods and services or investing in such activities that do not create any negative impact on the environment or that improves current or future ecosystem could be broadly defined as a green business. Such opportunities could come from different sourcesi. First, opportunities arise from the operations of industries to reduce waste and increase efficiency in the consumption of resources such as savings from water, energy and materials. Second, production efficiency resulting from improvements to the production processes, substitution of materials, reuse and recycling leads to new innovations and cleaner technologies. Cleaner production involves not only hard technology for reducing various environmental problems such as air and water pollution but also soft eco-friendly technology in the operations from the point of the extracting material to the disposal of products. Third, investing in the natural capital such as organic fruits and vegetables certified wood products. These opportunities will have to be captured by the Sri Lankan private sector through investments in new technologies while it is the responsibility of the government to create an eco-friendly policy environment and to provide appropriate incentives to promote such investments. Infrastructure development: Infrastructure including ports, roads, railways, electricity and energy is a major determinant of economic growth. Though Sri Lanka has been able to develop much-needed road transport as well as ports, it is important to generate more economic activities to benefit from such transport. In the absence of income generating, activities such infrastructure are likely to be a burden on the economy and waste of resources. Therefore, it is of paramount importance to prioritise various infrastructure development projects. Leadership: A high-level “Sustainable Development Council” headed by H.E the President consisting of relevant ministers, a senior civil society leader, a senior representative of the business sector, a senior representative academic/research institutions will have to be established to guide the process of preparing the Road Map and its implementation. The successful implementation of the Road Map will largely depend on the commitment of the political leadership at the highest level. SDG Consultation and Coordination Committee: In order to ensure the ownership and support of all stakeholders, first, extensive consultation with all relevant government agencies, the civil society, business sector and research institutions is required right from the beginning to identify national priorities. Second, the implementation of SDGs is not a responsibility of a particular government agency, a coordination mechanism at least at the level of Additional Secretary is required. The chair of this “SDG Coordination Committee” will report the progress to the Sustainable Development Council. External support: In addition to internal consultation and coordination, the government may wish to consider setting up of an external advisory body consisting of UN agencies, the World Bank, ADB and other relevant international and regional agencies to provide substantive inputs to the process. Mainstreaming SDGs in national development plans: It is of paramount importance to fully incorporate SDGs in national development plans and policy frameworks as these goals cannot be achieved in isolation. SDG Technical Committee: While there should be a coordinating ministry such as Ministry of Environment, Economic Policy and Planning or Ministry of Finance to facilitate the process, the government will have to strengthen existing institutions or establish new institutions to implement various projects and programs relating to SDGs. A new institutional mechanism in the form of a “SDG Technical Committee” consisting of technical experts such as economists, accountants, statisticians, education specialists and health experts are needed to adapt international targets and indicators with appropriate modifications to suit the Sri Lankan situation. Given the complex nature of the subject matter, sub-committees could be set up a deal with sectoral targets and indicators. Accountability: The Sustainable Development Agenda 2030 emphasises the importance of accountability in implementing the agenda. In this regard, various public institutions/ministries should be accountable for achieving the goals assigned to them at the end of the target period. It is also possible for non-public institutions to be responsible for some specific activities related to the implementation of the Road Map which will be a comprehensive matrix consisting of various activities to achieve SDG targets, the institutions responsible for carrying out such activities and target dates. Data and monitoring: A new dimension of SDGs vis-à-vis MDGs is the recognition of the significance of data for which the arrangements will have to be made at the outset to avoid any difficult situations in monitoring the progress of implementing the Road Map. Financing for SDGs: The successful implementation of the SDG Road Map will largely depend on the availability of financing. Therefore, it is of critical importance to identify innovative sources of funds and methods of mobilisation of such funds at the outset. The Sri Lankan academic community including the State universities could play a crucial role in the process of preparing the country to achieve sustainable development agenda by 2030. Being the first “green” university in Sri Lanka, the NSBM, is well-placed to provide a substantial contribution to these tasks. The scoping study will have to be conducted as soon as possible in collaboration with other interested parties including IPS while the national conference could be organised towards the end 2016.